Before I start my review, in case you haven't heard of SHINZU'I, which I doubt, SHINZU'I is a Japanese image brand which was launched on 2002 as a skin brightening soap with Herba Matsu Oil as its main ingredient. 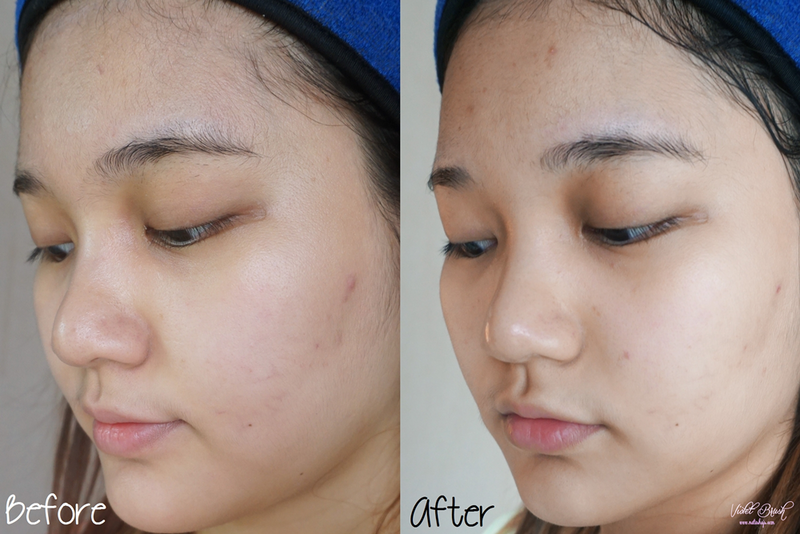 Herba Matsu Oil has been dermatologically proven to be able to brighten up your skin naturally. SHINZU'I also has won several awards, such as No.1 Choice Brand according to the Indonesian Women Survey in 2011, 2012, and 2013 (Kartini magazine & Women Insight Center); Top Brand Award in 2011-2013 (Marketing magazine & Frontier Consulting); No.1 Most Recommended Brand in Whitening Soap Category in 2010-2013 (SWA & Onbee magazine ); Customer Loyalty Award in Bar Soap Category in 2006 (SWA & Mars magazine ); 5 Star World Class Quality Achievement in 2015 (SWA & Mars magazine). 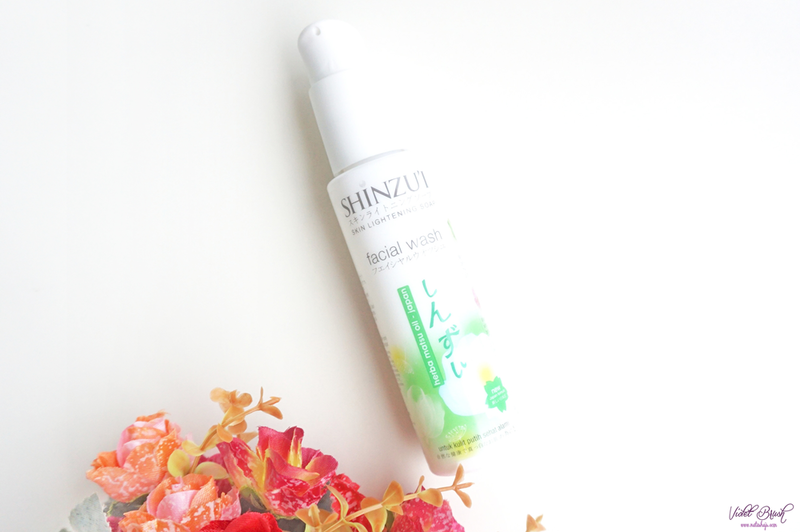 All variants of SHINZU'I Skin Lightening Facial Wash contain Herba Matsu Oil and Sakura Flower Extract. Herba Matsu Oil transforms melanin pigmentation into leuko-melanin to lighten your skin tone, skin becomes fair and moist. 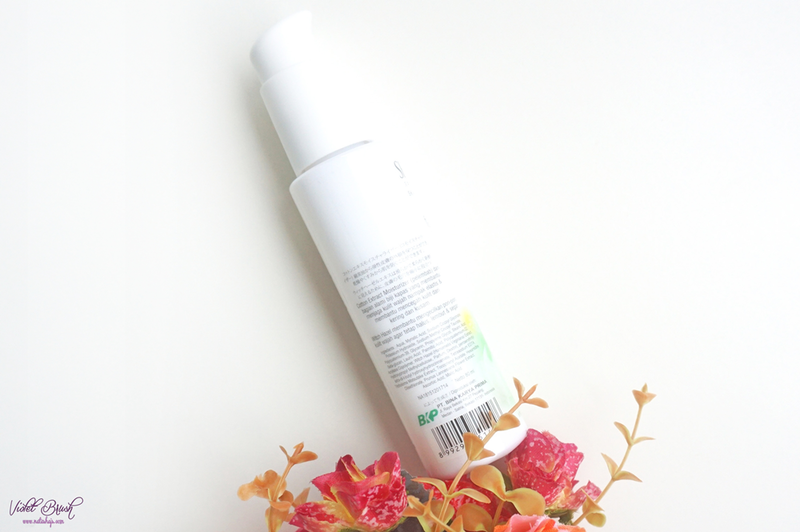 While Sakura Flower Extract regenerates epidermal cells to prevent dull skin. 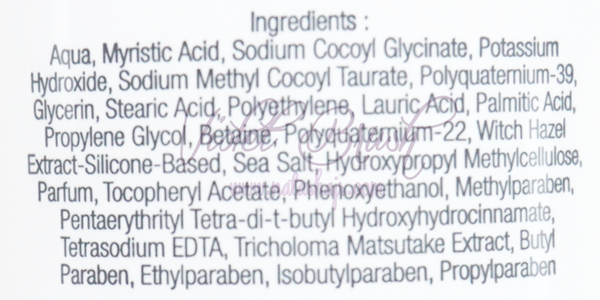 Sakura Flower Extract also regenerates skin cells for clear and supple skin. 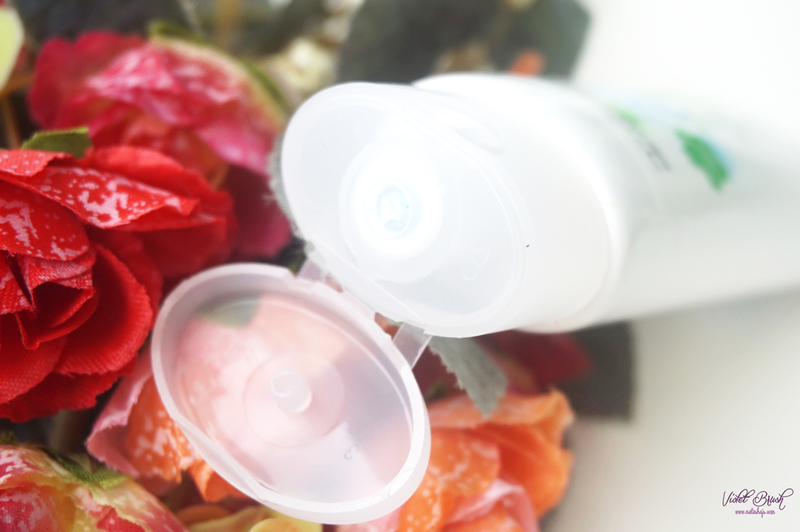 Cleanse your skin for naturally brighter, smooth, and moisturized skin. 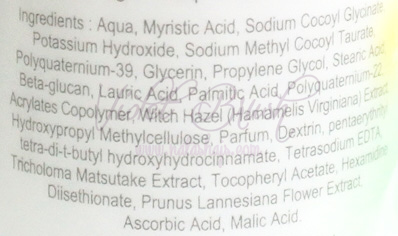 Witch Hazel helps to shrunken the pores for soft, smooth, and fresh skin. 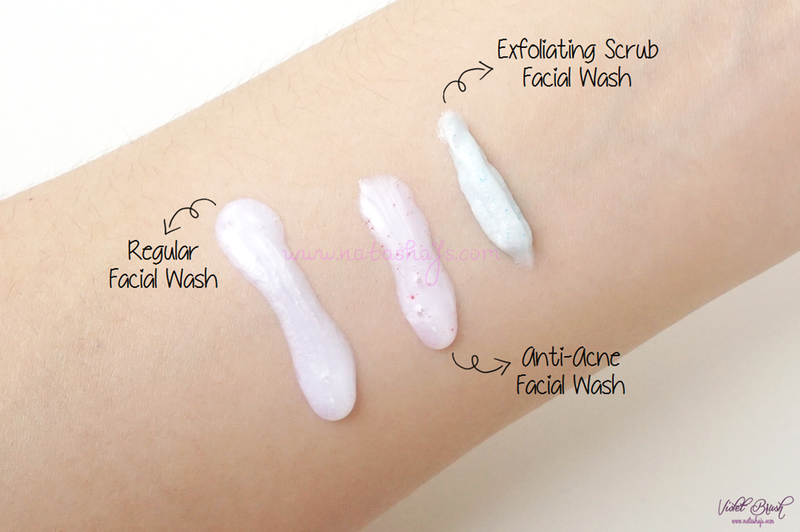 To use: foam with water, lather on your face evenly and rinse with water. Herba Matsu Oil, Natural Whitening Extract which is extracted from Japanese Matsutake helps to produce colorless melanin for brighter skin but still protected from the UV rays. 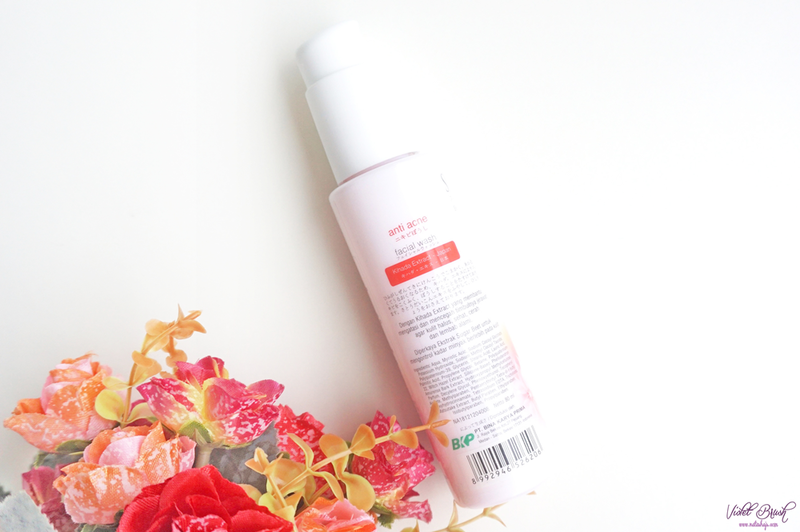 Sakura Flower Extract helps to regenerate skin cells to avoid dull skin but instead, resulting in bright and supple skin. Witch Hazel helps to shrunken the pores. With Kihada Extract to help getting rid of acne and preventing acne to reappear for naturally soft, healthy, bright, and moisturized skin. Enriched with Sugar Beet Extract to control excess oil on your skin. Japanese Okinawa Sea Salt cleanse your skin intensively by removing dead skin cells for naturally healthy, soft, bright, and moisturized skin. Artichoke helps to shrunken the pores. 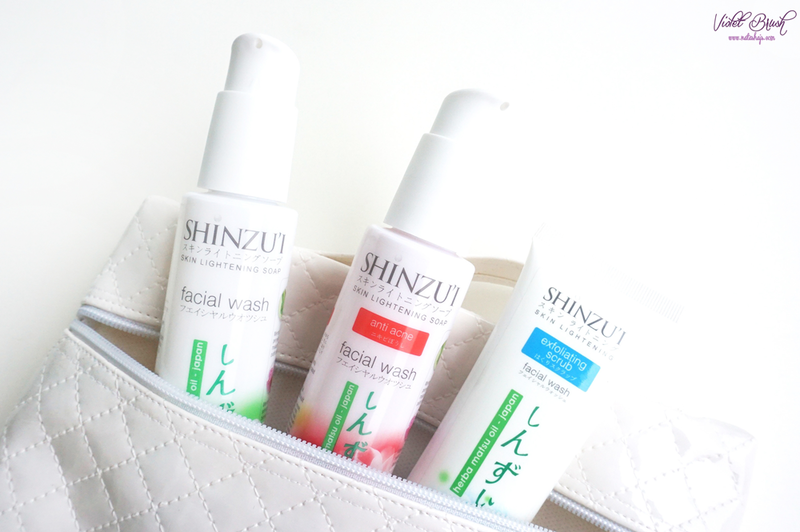 Speaking of the packaging, SHINZU'I Skin Lightening 'Regular' Facial Wash and SHINZU'I Skin Lightening 'Anti-Acne' Facial Wash has the exact same packaging, which is the pump bottle. It's actually the first time I saw facial wash packed in a pump bottle. It's pretty efficient and travel-friendly since it's equipped with swivel lock (you need to turn the pump to the right to be able to pump the product out), thus you don't have to worry in spilling the product. Though, I would love the packaging even more if there's a cap. P.S. : these two are actually available in the usual tube packaging too! On the contrary, SHINZU'I Skin Lightening 'Exfoliating Scrub' Facial Wash comes in the usual tube packaging. 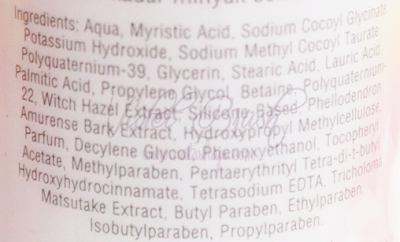 I can't say much since it's pretty much the basic packaging of facial wash products without any pros and cons. Texture-wise, SHINZU'I Skin Lightening 'Exfoliating Scrub' Facial Wash has the thickest consistency and the least gentle scrub particles. 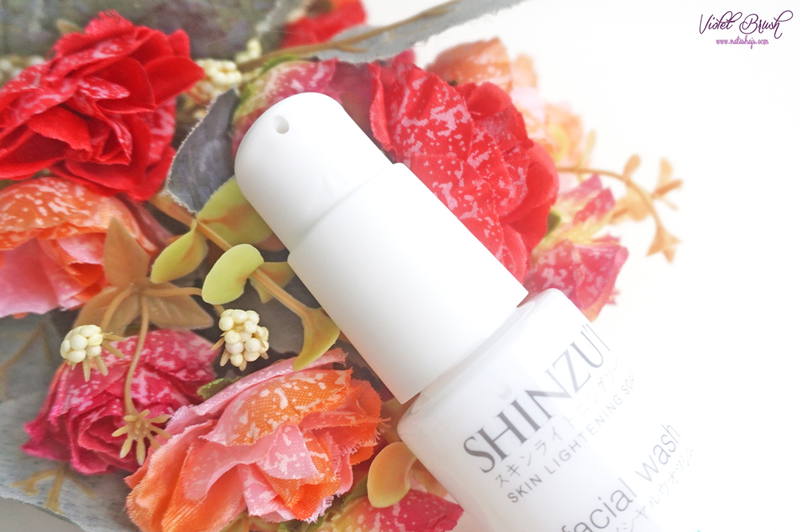 On the other hand, SHINZU'I Skin Lightening 'Regular' Facial Wash has the most aqueous consistency without any scrub particles which is very gentle on the skin. While SHINZU'I Skin Lightening 'Anti-Acne' Facial Wash has thicker consistency than the regular one but not thicker than the exfoliating scrub with tiny red beads. 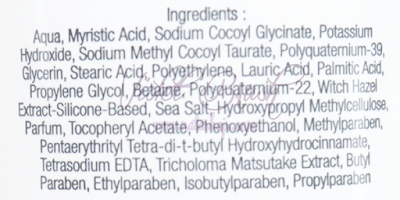 In terms of scent, I love the scent of SHINZU'I Skin Lightening 'Exfoliating Scrub' Facial Wash the most. It has this fresh fruity and flowery scent which I love. While the scent that I like the least is SHINZU'I Skin Lightening 'Anti-Acne' Facial Wash, it has this musky flowery scent but too musky to my liking. It's actually pretty similar with the scent of SHINZU'I Skin Lightening Body Lotion in Kirei. 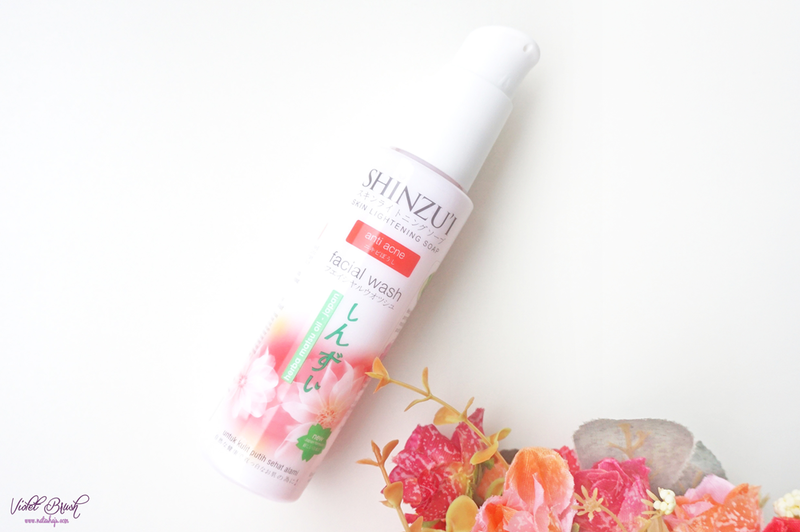 And SHINZU'I Skin Lightening 'Regular' Facial Wash has this flowery scent. 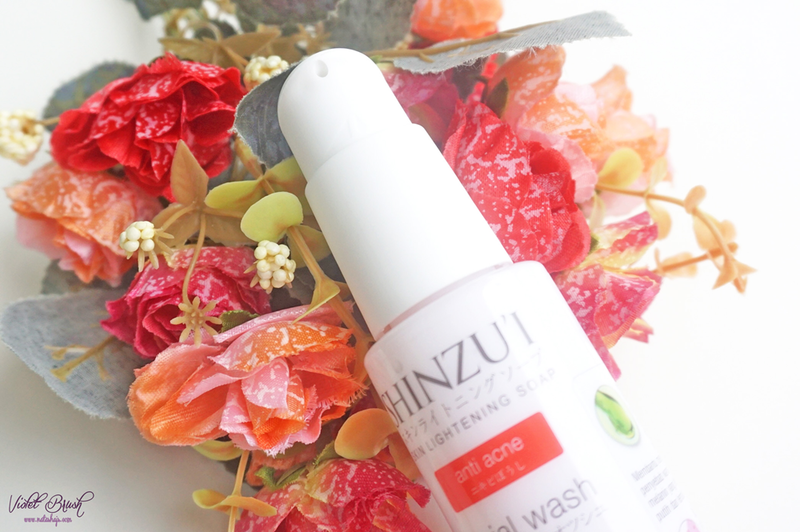 Every time I tried out any facial wash product, one thing that I noticed the very first time is whether the product dries out my skin or not and I happily say that SHINZU'I Skin Lightening 'Regular' Facial Wash doesn't dry out my skin at all. It suits my sensitive and dehydrated skin well since it keeps the moisture on my skin very well as it claims and has gentle foam on the skin that even my mom loves this too! Perhaps, since my skin is fair enough, SHINZU'I Skin Lightening 'Regular' Facial Wash didn't make too much difference on my skin tone after two weeks of usage. I do feel that my skin gets a little bit brighter but not that noticeable. 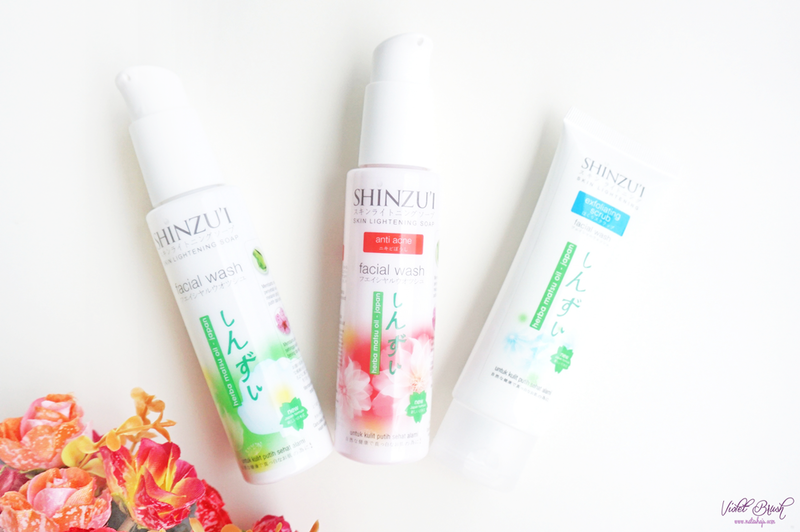 Possibly because SHINZU'I Skin Lightening 'Anti-Acne' Facial Wash is formulated for oily and acne-prone skin, it feels really dry on my sensitive and dehydrated skin. If you have oily and acne-prone skin, I definitely recommend this but if you have dehydrated skin like me, or dry-combination skin, I definitely suggest you to go with the regular one. However, one point that I definitely love about this SHINZU'I Skin Lightening 'Anti-Acne' Facial Wash is the fact that it's able to lessen my break out during my periods. I actually planned to use SHINZU'I Skin Lightening 'Anti-Acne' Facial Wash for 2 weeks but decided to stop after 1,5 weeks of usage. As I said above, this dries my dehydrated skin too much worsening my rash (as you can see on the photo). 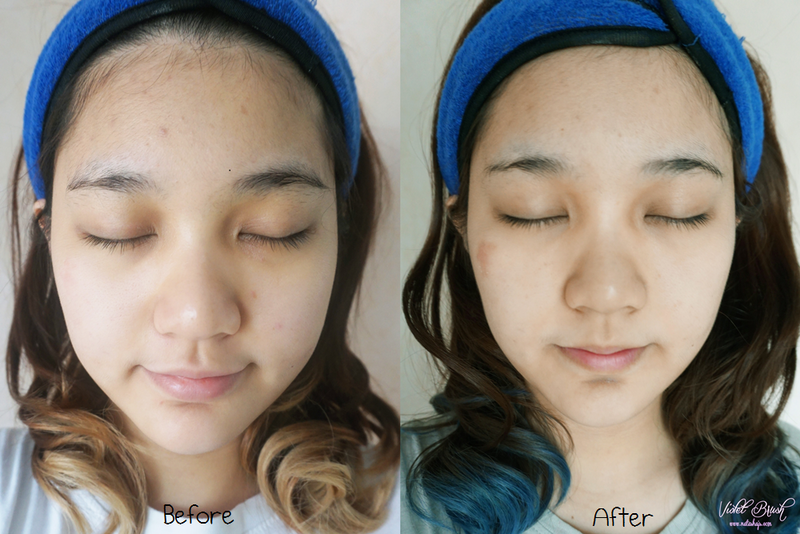 However, I don't feel it made any change on my skin tone, keep in mind that my skin is fair enough. I actually thought that SHINZU'I Skin Lightening 'Exfoliating Scrub' Facial Wash would be too dry on my skin but I was wrong. 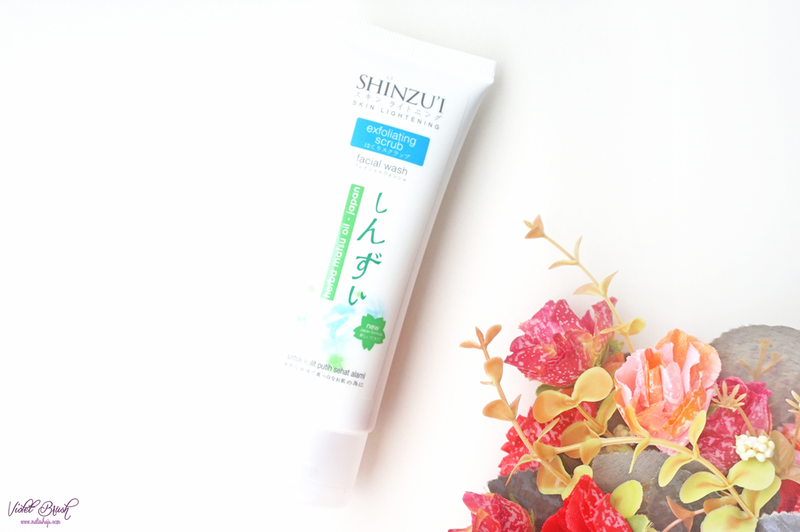 Compared to SHINZU'I Skin Lightening 'Anti-Acne' Facial Wash, the exfoliating scrub is actually less drying. Although, it still feels dry on my skin. It has tiny scrub particles which is actually gentle on my hand but quite harsh on my skin since my skin is still suffering from rashes on my right cheek (although it's not quite seen on the photo). 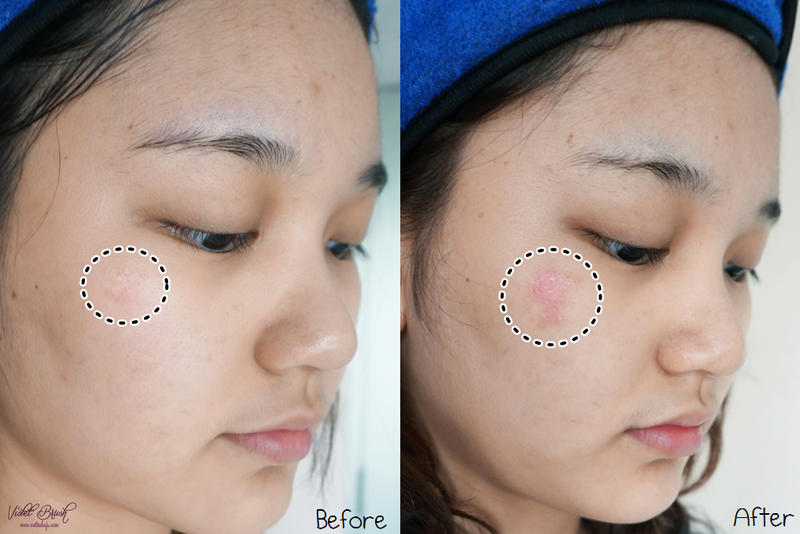 Because of the scrub particles itself, it dries my skin thus unfortunately, worsened the rashes on my skin. However, yes, I would recommend this to those of you who has oily-combination skin or oily skin since it would do a really good job in controlling your excess oils. Although I said that the SHINZU'I Skin Lightening 'Exfoliating Scrub' Facial Wash is less drying compared to SHINZU'I Skin Lightening 'Anti-Acne' Facial Wash, it still worsened my rash too. I used this twice a week for about 3 weeks and one good point that I felt was I saw less whiteheads on my forehead. And once again, it didn't make much change on my skin tone, though. You can find this product at nearby mini markets and supermarkets.